Everyone when gets into a room on his own, first thing often is to flip the light on in order to light up the room and create volume in the space. 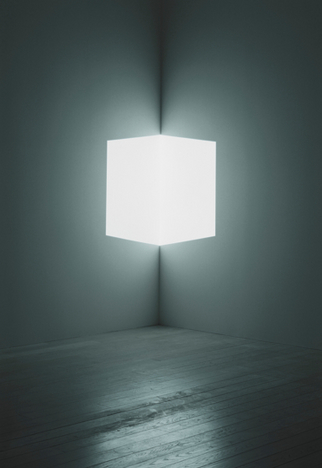 For James Turrell the light is “the thing.” “What if light wasn’t the tool that enabled people to see something else but rather became the thing people look at?” It’s all about how you see the light and how you perceive it. His work consists in to manipulate shapes and colors in order to change the way your eye sees it. 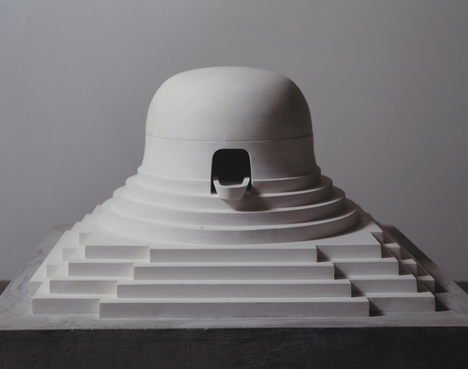 Los Angeles County Museum of Art (LACMA) is presenting his first major retrospective in nearly thirty years. The exhibition features approximately fifty works tracing five decades of the artist’s career. He plays with your perception, some people could walk out of the exhibition blessed… it’s like drugs. Los Angeles-native James Turrell started to work with light in the area of Santa Monica – this is the beach right above L.A’s airport – there was the Mendota hotel, which he locked out all the windows and proceeded cutting little wholes in the walls to allow lightning; testing different times of the day for different kinds of lights. That was in 1966. 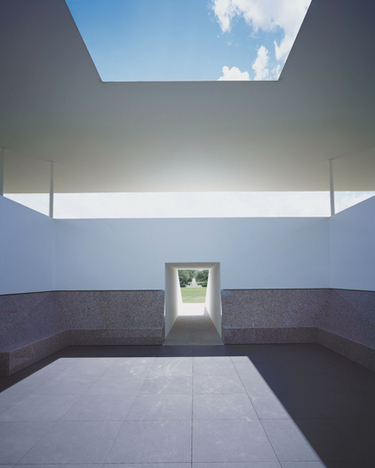 James Turrell is an expert in perception. In addition to early light projections and holograms the exhibition features immersive light installations that address our perception and how we see it. 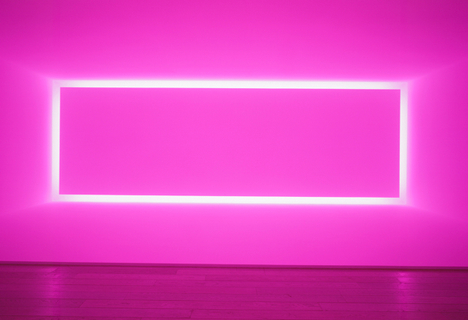 His revolutionary use of light in art makes for an experience that is both physical and optical-requiring visitors to spend anywhere from five to twenty minutes with one artwork to take over, often alone in the gallery or with a limited number of fellow viewers. Some people can be different to another but definitely it changes how you feel. A mention beforehand about the pieces exhibited, many of them done in the late 60’s, these are as compelling as futuristic, fitting into the savvy audience of the twenty-first century. The beginning of the exhibition stars with a few drawings about how he actually planned each one of the spaces. Then your first experience is a “cross corner projection,” like a “cube.” The fact that light is projected in a corner makes to trick your eye, becoming a three-dimensional figure in mass and weigh which follows your movement. “Key Lime” is an illusion of walls created through light and architecture; you can sit down in the front bench and let yourself loose into a world of fading soft hues framed in rectangles layered in several dimensions. As you keep focused on this the sensation of perspective as we are used to dims. “St. Elmo’s Breath” is a space-division construction, which appears to be a flat surface but upon closer inspection reveals itself to be light emitted from a seemingly bottomless cavity in the wall. This is similar to “Yukaloo,” a most recent piece done in 2011 with led light. Again, we face a “window” in the wall that creates a different dimension working again with that feeling of infinity; a beautiful void; a mystic emptiness colored in different hues from blues to magentas (dawn and sunset). Curiously, it also evokes some sort of fear, like hesitate to come closer and being swallowed. 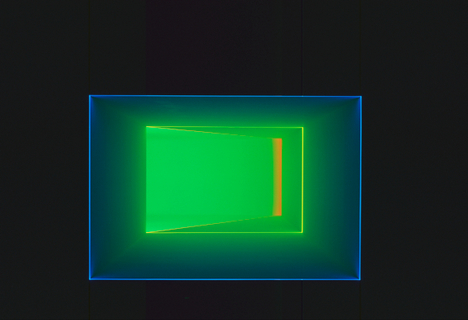 Among a few more work and installations, perhaps the most intense experience is the work that resulted from Turrell’s collaboration with artist Robert Irwin and Dr. Ed Wortz as a part of the Art and Technology program at LACMA in 1969, namely a “Perceptual Cell” called “Light Reignfall”. You go up by the stairs and you laid into a bed blade-runner-like in order to get into this cell-like room. Capacity is limited to one person every twenty minutes (thus you need to book it with several weeks in advance). When you see this cell ejecting the bed with the last “intruder,” a halo of soft blue gleams from the inside. The experience is like being into the best clouds, just like being in heaven. One of the installations is called “Dark Matters,” I rather not spoil it if you are planning to attend the exhibition but if that won’t the case please continue reading this paragraph. A dark space that presents seemingly black-out room with only a minimally peaceable trace of light. For ten minutes your eye keeps steadily accustom itself to darkness. It can happen a light spot appears in any part of your field of view. Most likely this will be totally different to the person who sits next to you. 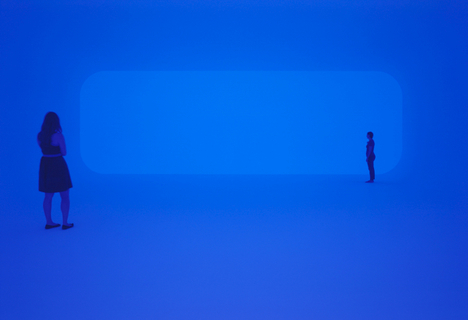 This is another clear example of how Turrell triggers your capability for meditation. Then there is an entire section devoted to The Roden Crater –his masterwork-in-progress, which he is best known. Located in Flagstaff, Arizona. He bought it and started to work on it in 1979, turning this natural cinder volcanic crater into a massive naked-eye observatory, designed specifically for the viewing of celestial phenomena. 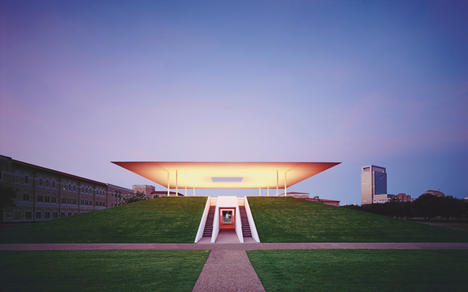 This project means 40 years of a singular vision, which depicts perfectly Turrell’s sense of achievement. The project is divided into three phases; first one is achieved, so still is not open to the public. He just turned 70, so he draw all out and he said if something happens to him the project will able to finish. Large-scale mixed media drawings and a model countered with actual cinder from the crater, as well as other models for autonomous spaces.